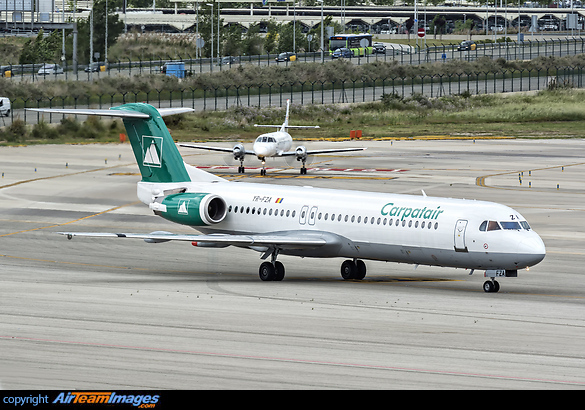 The Fokker 100 is a medium size twin-turbofan airliner built by the Fokker company and was an upgrade of the smaller sized earlier built model the Fokker F28 Fellowship. Fokker collapsed in 1996 and wound up production. The Fokker Executive 100 corporate shuttle is fitted with luxury interiors to individual customers requirements. 2 x Rolls Royce Tay (13850 - 15400 lbf) turbofan engines.